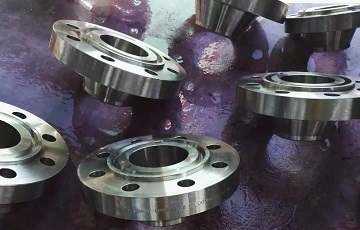 Inconel 600 flanges manufactured to ASME B16.5 are usually made from two forms of raw material: ASTM B564 UNS N06600 forgings or ASTM B168 UNS N06600 plates (only blind or plate flanges can be made of Inconel 600 plates; the material shall be furnished in annealed condition). According to the standard, the pressure-temperature ratings can be furnished in two unit systems: ISO and US customary. ASEM B16.5 flange, weld neck, RTJ, DN80 SCH40 Class 600. 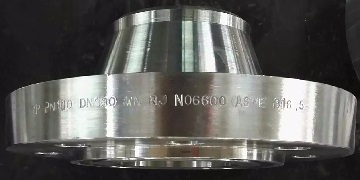 Material: ASTM B564 UNS N06600(Inconel 600). Inconel 600 WN RTJ flanges for a German client. *Working pressures by classes, unit: bar. *Working pressures by classes, unit: psig.